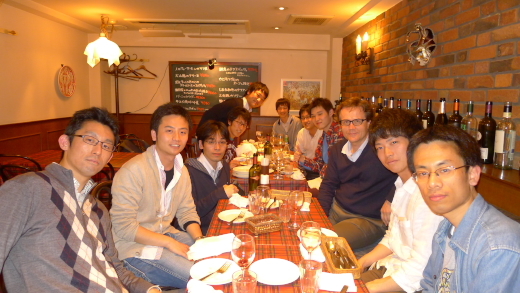 We held a welcome party for Dr. Omagari, Mr. Sou, Mr. Totsuka, Mr. Furuya and Ms. Quynh! Undergraduate thesis presentations took place. Goto won the Thesis Award. Congratulations!! Title: Characterization of red emitting molecules with eight-membered rings by single molecule spectroscopy. Farewell party held for Dina Petrova. Master Thesis presentations took place. 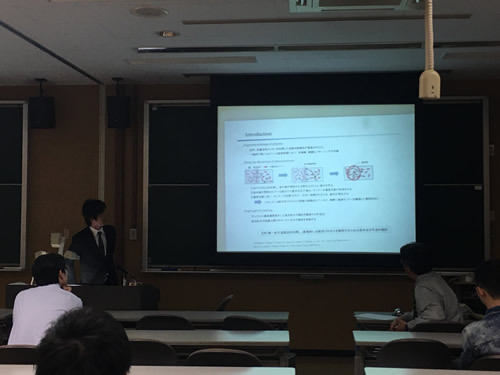 Mr. Hatazaki won the Master Thesis Award!! Congratulations!! 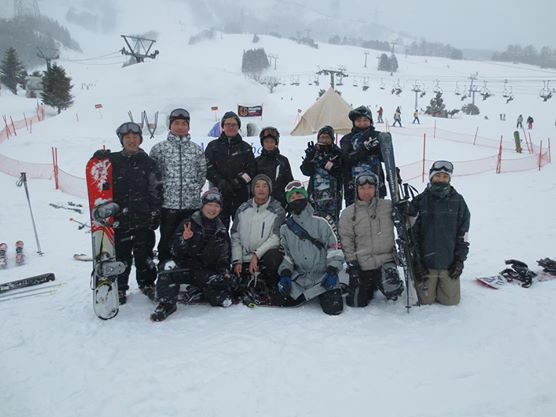 We went skiing at Nozawa Onsen Ski Resort, Nagano for 2 days. 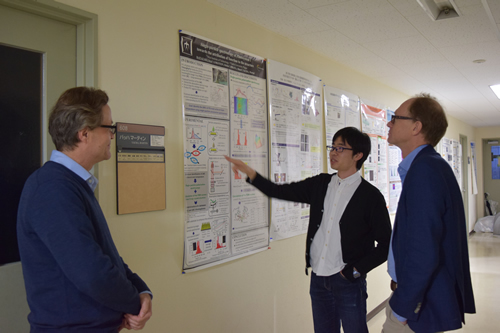 Farewell party held for assistant professor Hirata. Dr. Hirata has moved to the University of Electro-Communications to build a new lab. Wish you all the best in the new position. Mr. Suzuki took part in 11th Tsinghua Univ. - Tokyo Tech. 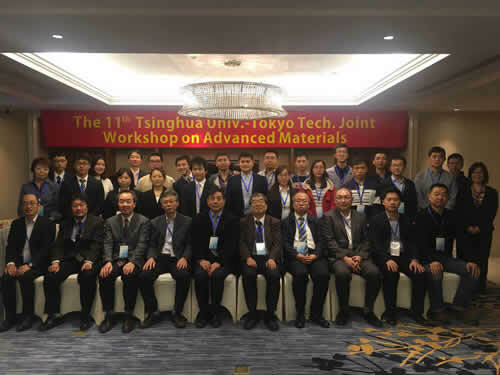 Joint Workshop on Advanced Materials at Yixing in Jiangsu Province, China. Professor Ryszard Jankowiak visited our lab from Kansas State University. Professor Albert M. Brouwer visited our lab from University of Amsterdam. Interim Presentation of Master Thesis took place. Mr. Suzuki (Master 2nd) has returned to Japan! 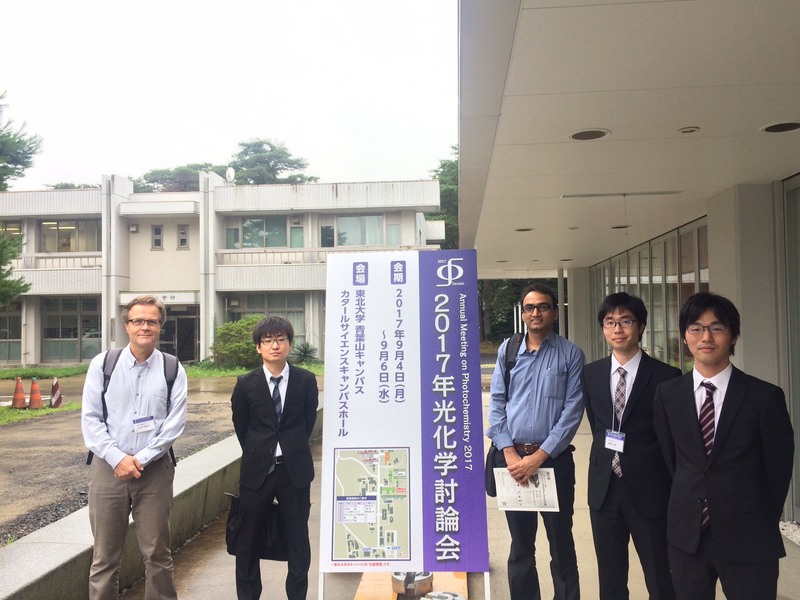 Mr. Sharma(researcher) took part in 23rd International Workshop on Single Molecule Spectroscopy and Super-resolution Microscopy in the Life Science. 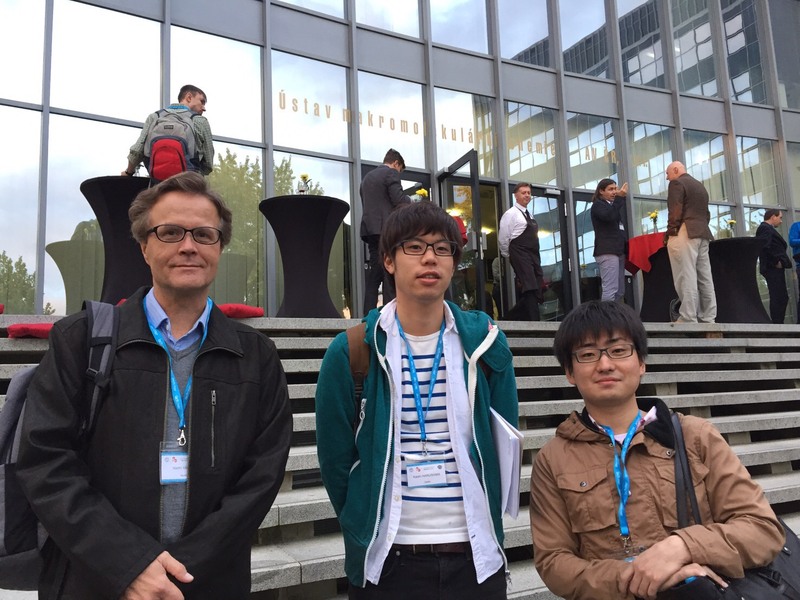 Mr. Narushima(Ph.D 2nd), and Mr. Nakamura(Master 2nd) took part in 81st Prague Meeting on Macromolecule. 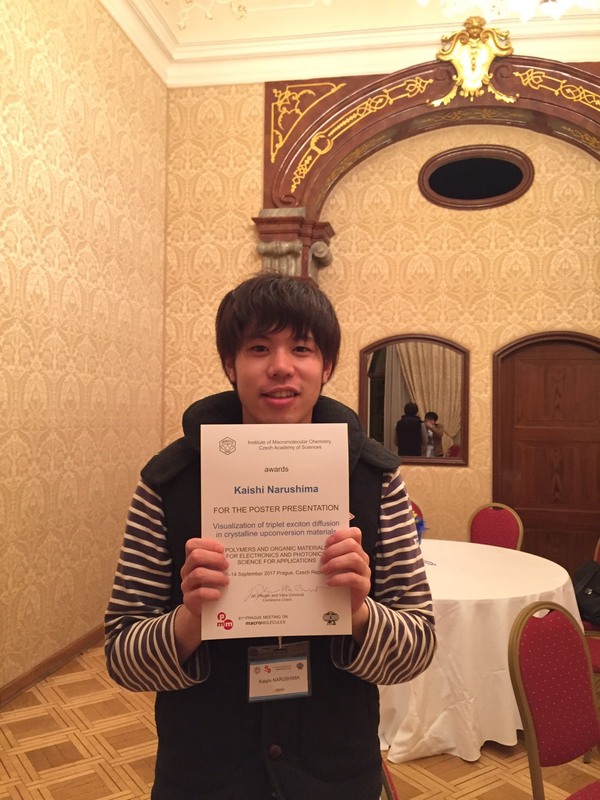 Mr. Narushima received the poster award. 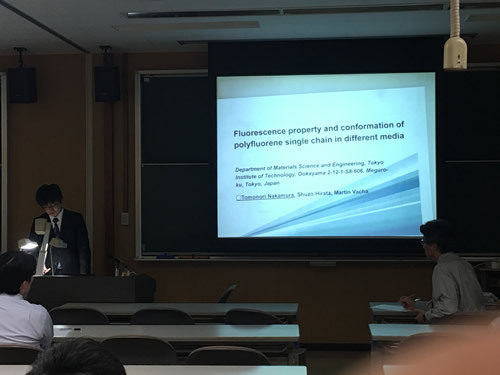 Mr. Sharma(researcher) took part in 15th Conference on Methods and Applications in Fluorescence. 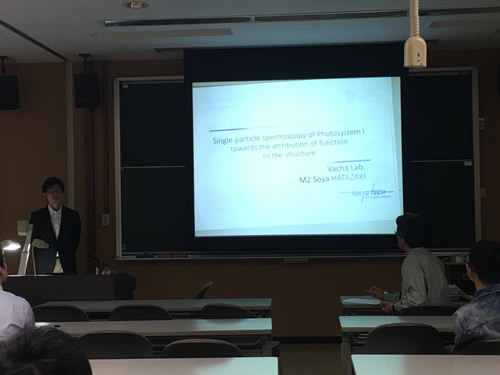 Mr. Narushima (Ph.D 2nd) took part in the 78th JSAP Autumn Meeting, 2017. Vacha Lab took part in Annualu Meeting on Photochemistry 2017. 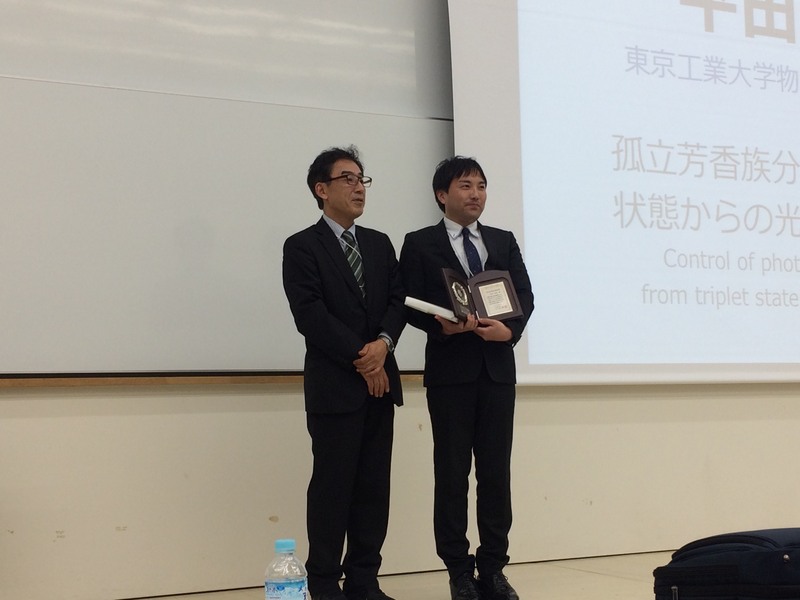 Assistant professor Hirata received the award of the 17th Photochemical Society Encouragement Award. 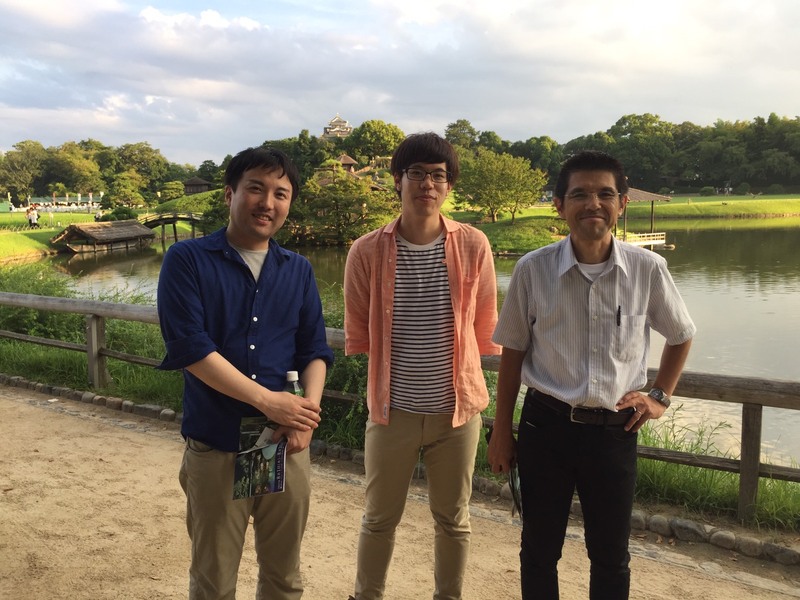 We held a meeting on Okayama University's with Mr. Orita for group research. 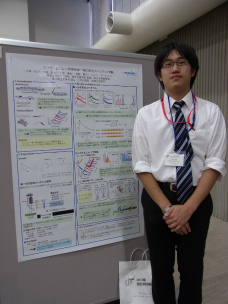 Narushima (Ph.D 2nd) received the Young Scientist Presentation Award of the Japan Society of Applied Physics Society. congratulations!! 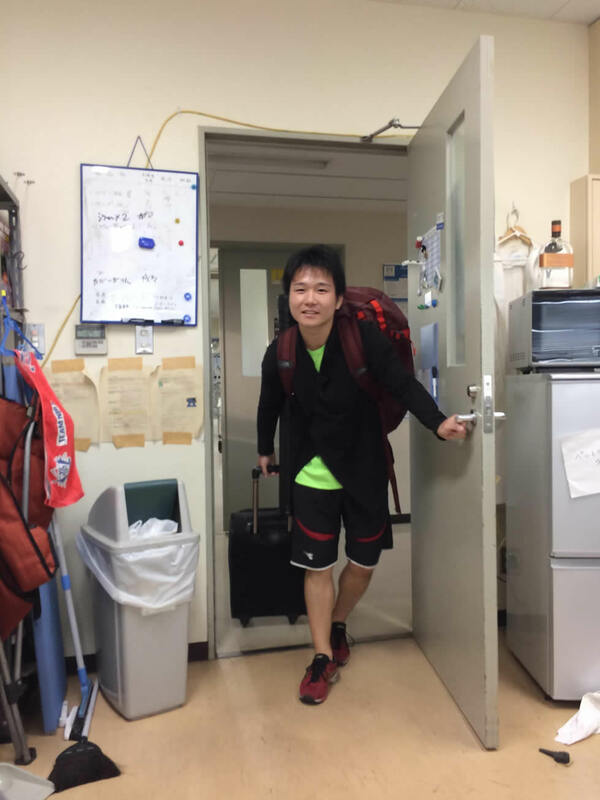 Mr.Goto(B4) has joined the Vacha Lab!! 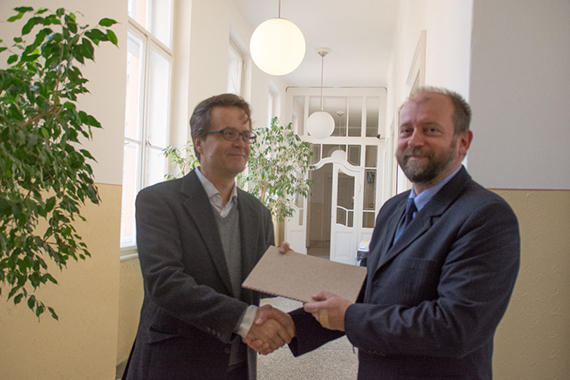 Prof. Vacha was appointed a Visiting Professor at Charles University in Prague, and this year will be spending part of his time abroad. Our research was introduced in news & views of Nature Materials. A new article was published. 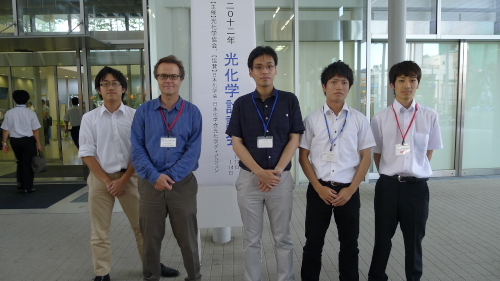 S. Hirata, K. Totani, T. Yamashita, C. Adachi, M. Vacha: Large reverse saturable absorption under weak continuous incoherent light. Nature Mater. (2014) DOI: 10.1038/nmat4081. 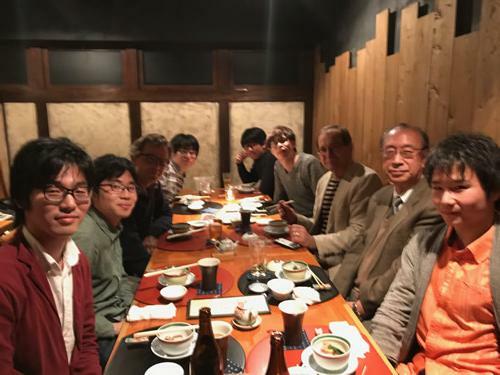 We held a welcome party for Mr. Narushima and Mr. Ueda！Mr.Imagawa and Mr.Tsubomoto from Tokyo University of Agriculture and Technology also joined this party. The school year 2014 in the lab started! As new members, Mr. Narushima (M1) and Mr. Ueda (B4) joined the laboratory. 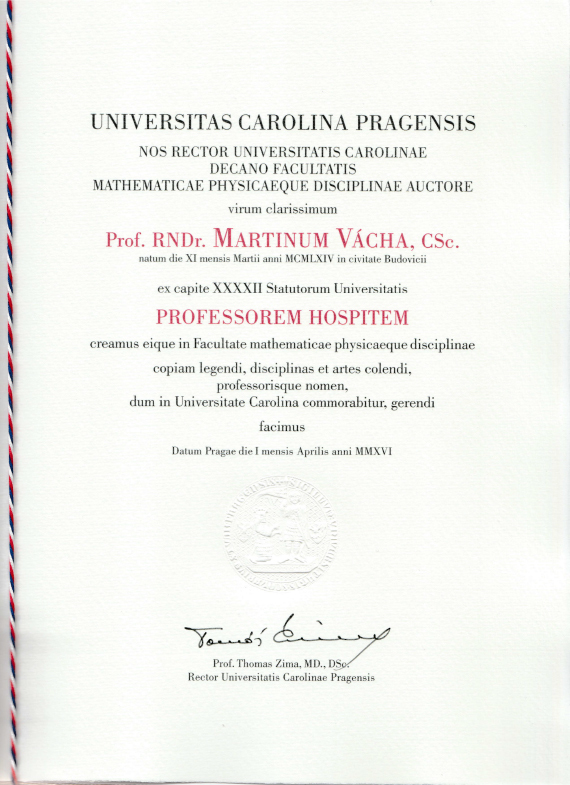 Prof. Vacha is promoted to a full professor. We took a picture together on the day of the graduation ceremony. We wish the fresh graduates, Mr. Katayama and Mr. Lee, success in their work! 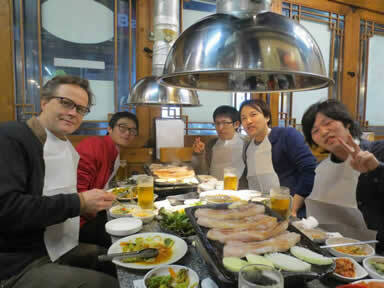 We held a farewell party for the graduating M2 Mr. Lee in Korean BBQ house. 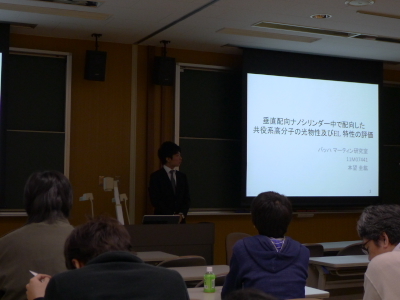 Graduation thesis presentation was held. 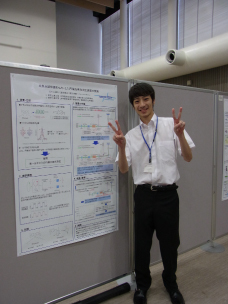 Mr. Matsuda from our lab received the Thesis Award! 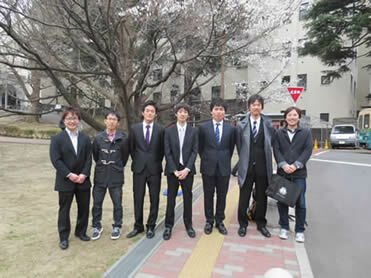 Master thesis presentation was held. 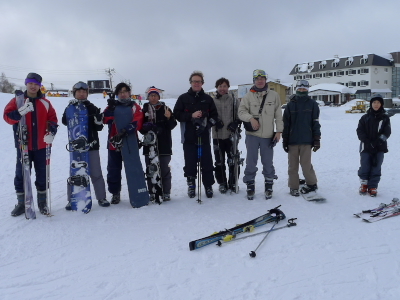 We went skiing as usual, this year we returned to the Naeba ski resort. 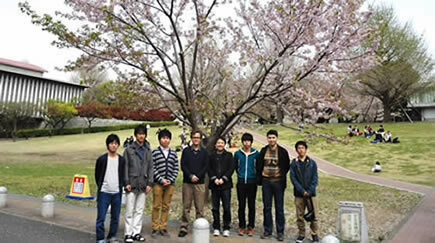 Mr. Suzuki and Mr. Ueda who will join the laboratory from April also went with us. 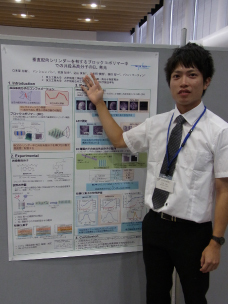 We attended Annual Meeting on Photochemistry 2013 held in Matsuyama, Japan. WeI took part in a summer camp of the Kanto polymer young Society, and had a meaningful time with students and teachers of other university. Undergraduate thesis presentations took place. K. Noda from our lab received the Thesis Award! We went skiing at Nagano. 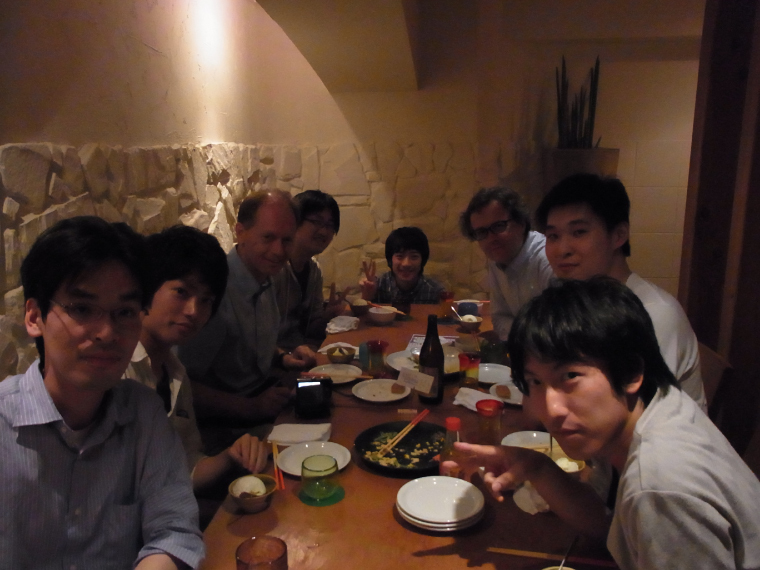 A welcom party held for the new assistant professor in our lab. 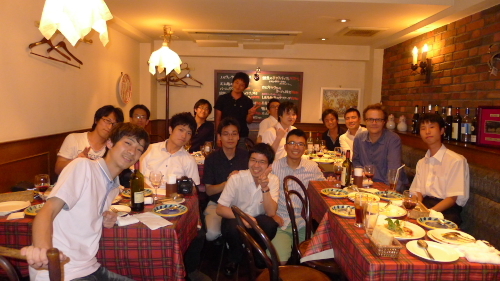 After the Meeting of the Japanese Photochemistry Association,we held a party with former graduates and former assistant professors. Students in our lab took part in the poster session with the following themes. Electroluminescence of conjugated polymers confined in vertical nanocylinders of a block-copolymer film. 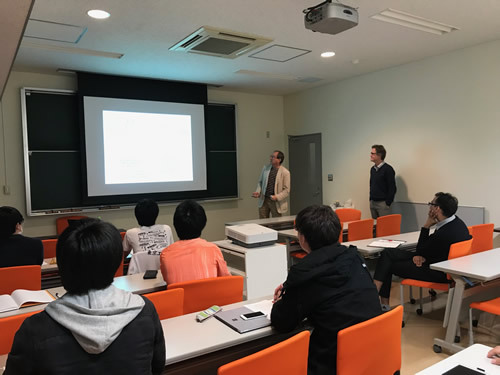 Prof. A. M. Brouwer(van 't Hoff Institute for Molecular Sciences, University of Amsterdam) gave a lecture about "Molecular motion observed or induced with light" on our campus.We had dinner together. 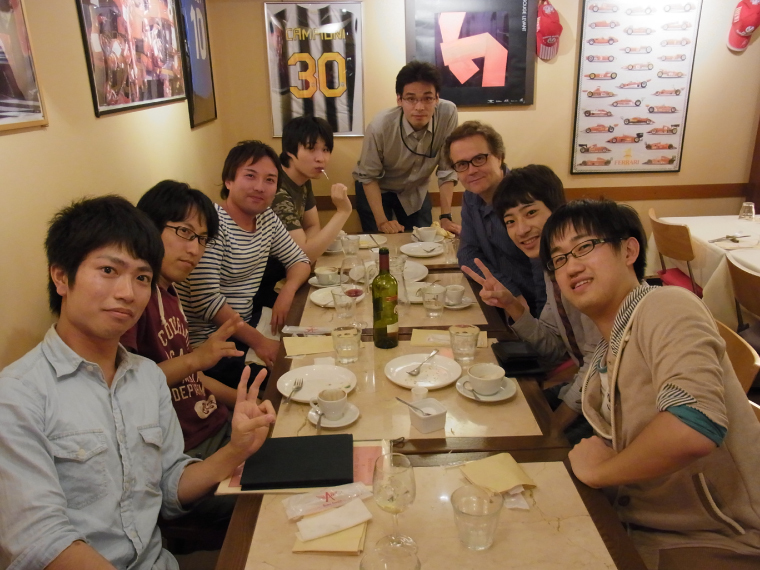 A welcom party held for the new members in our lab. Afew former graduates also appeared at the welcome party.。Thank you very much.